Takyla attended Nash-Rocky Mount Public schools and graduated from Northern Nash High School in 2000. She is a proud alumna of Nash Community College where she obtained her Associates Degree in Business Administration. Her career began when she was in the Youth Apprenticeship program at Northern Nash and started working at Boddie-Noell Enterprises. From there in 2002, she worked onsite with their risk management company, where her career in insurance began as a Worker’s Compensation Adjuster. She eventually became a licensed insurance agent and in 2006 began working for a local independent insurance agency as a life and health agent. She wrote and serviced employer group accounts, but focused on helping individuals with their life and health insurance needs. Throughout her career, she has developed great relationships with her clients, colleagues, and business partners. Some of these relationships have turned into friendships and at the very least, long lasting and trusting relationships that she holds dear to her heart. She was a member of the Young Professional Network of Rocky Mount (YPN) from 2006 through 2009 and served as President. 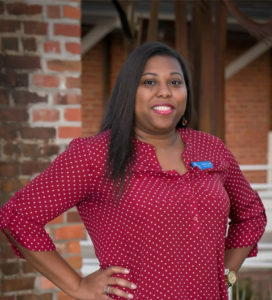 She’s been a member of the Nash-Rocky Mount Rotary Club since 2009, served as the President Elect and currently serves as the Publicity Chair. She has also served on the Community Fellows Advisory Committee for the Down East Partnership for Children and graduated from the Leadership Rocky Mount Program in 2008. In addition, she’s served as an active member on her son’s PTA throughout elementary and middle schools. 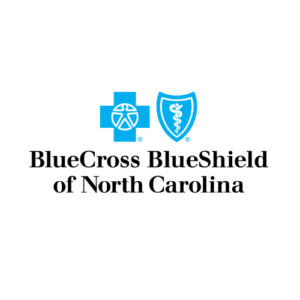 She continues to be involved in community events and attends events held by the Rocky Mount Jaycees, Rocky Mount Chamber of Commerce and Young Ambassadors Circle. She’s also a member of the National Association of REALTORS, Rocky Mount Area Association of REALTORS (RMAAR) and joined the Board of Directors and will serve a term from 2019 – 2021. She has served as a volunteer/mentor through Communities in Schools since 2008 and will continue, as it’s one of the most rewarding opportunities that she’s experienced. Takyla is dedicated to making sure her clients are taken care of and that their needs are met. She brings many years of experience (since 2005) helping her clients. The many referrals she gets from previous clients and colleagues are a true testament to her commitment to making sure you’re always taken care of. After two great experiences in buying homes, she wanted to bring that same joy to as many people as she could; so in June 2017 she became a REALTOR® and joined Keffer Reams Team Realty. In that short amount of time, she was able to help numerous individuals and families sell and buy homes (not just “houses” but homes). Most were First Time Home Buyers and providing that experience sparked a flame that she just couldn’t let die down. It was through this fire and joy from helping people, that Key Insurance Solutions came to be. For Takyla, relationships are KEY. They are the foundation that Key Insurance Solutions is built upon. It’s our goal to help you understand your benefits, your options, and your choices because let’s face it insurance can be difficult – but not when you have a conversation with Takyla.